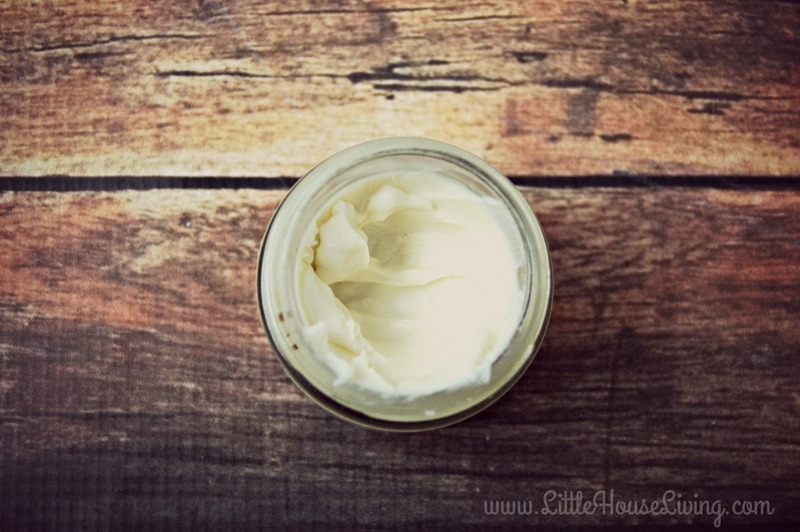 Thanks to Heather from The Homesteading Hippy for this guest post today! With natural health and essential oil usage being all the rage these days, it’s really hard to know what’s safe and what’s not. You won’t always find correct information about oils and how to use them for younger children. Sometimes the information can be outright dangerous. I much prefer to use herbal infusions, especially on younger children. You will get many of the benefits of the herbs without the potency of essential oils. This lavender-calendula infused salve is gentle enough for everyday use, even on little ones, 3 months and younger. It’s easy to make, and you can have some on hand within an hour of starting. 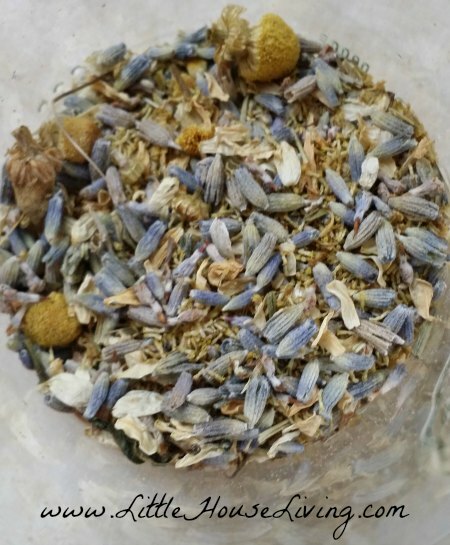 First, I placed some dried calendula flowers and lavender flowers in a glass jar. There is about a tablespoon of each herb in there. Gently mix them together. Add in 1/3 cup of coconut oil. I prefer coconut oil due to the healing properties it has on it’s own, and it’s safety for even young ones. You could use olive oil as that would be safe for young children. 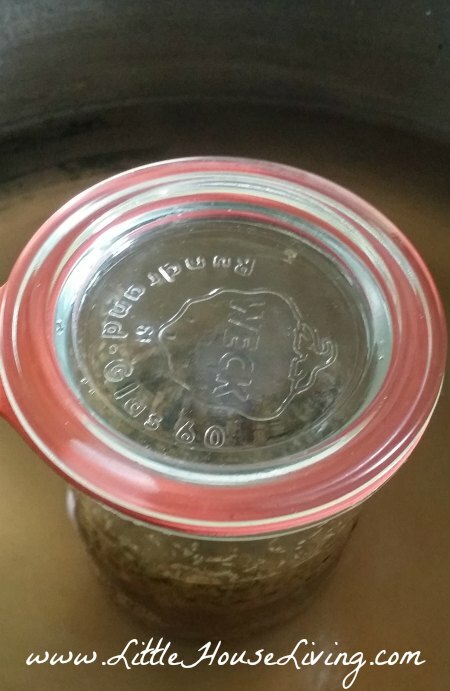 Place the jar in a pot of barely simmering water and cover with a lid. You don’t want to lose the essential oils from the herbs as it’s infusing into the oil. Keep the water at a very low heat and allow the oils and herbs to infuse together for a half hour. After an hour, remove the jar from the water and allow to cool for 10 minutes, but keep the water on a simmer. 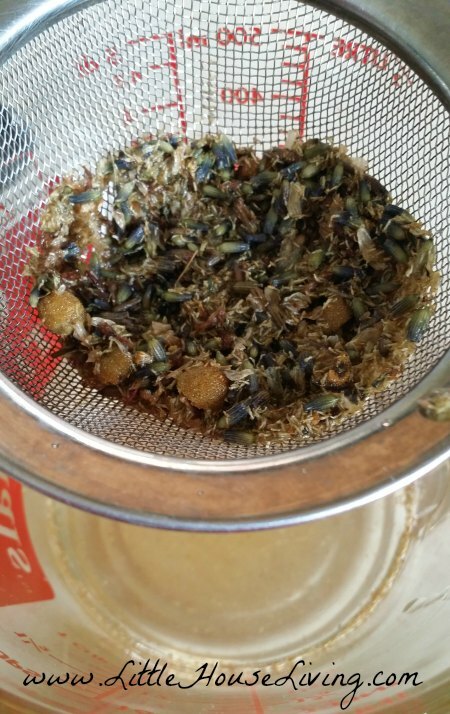 Carefully drain the oils from the herbs with a metal strainer into another glass jar and gently squeeze the herbs with the back of a spoon to get all the goodness out. 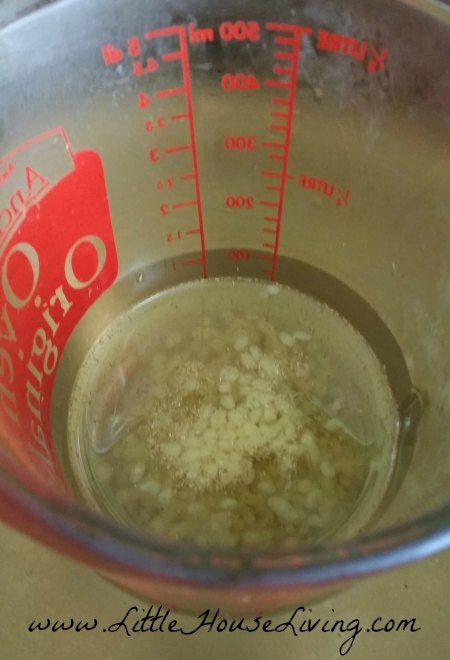 Place this jar of oils back into the simmering water and add 1 teaspoon of beeswax. Stir gently and simmer on very low heat until all melted together. Allow to cool completely before use. Label with the date, ingredients used and what it’s for. I use this often when we have colds, especially around the tender nose area. You could use this on small scratches, insect bites, or mild diaper rashes. This also makes a great lip balm as well for dry, chapped lips. Heather and her family live in Northern Indiana, where they raise nearly 75% of their food in their backyard, which includes a large garden, chickens, turkeys, ducks, rabbits and a funny little escape artist goat. They love teaching others about self sufficiency and natural health and Heather is currently studying in a master Herbalist program. Find Heather at The Homesteading Hippy. What a great recipe! 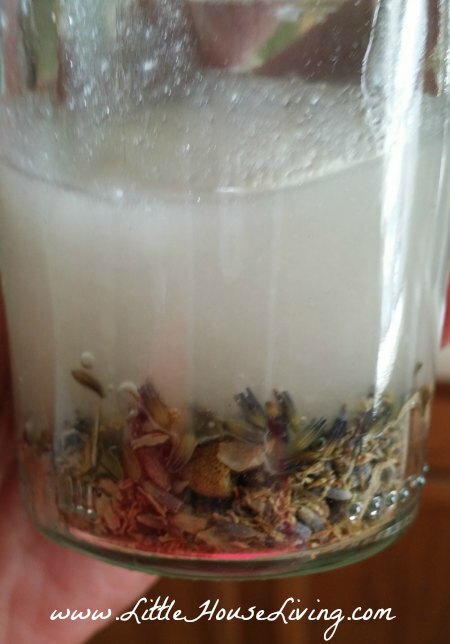 This is a perfect way to have the benefits of lavender and calendula in a salve! I’ve seen dried lavender used in soap bars, but never lotion. Thanks for the idea. I have some I wanted to use but didn’t need soap.